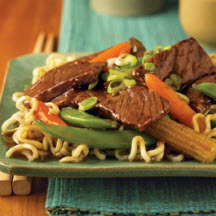 CooksRecipes has quality, kitchen-tested recipes for beef stir-fry dishes that you can count on for successful deliciousness. 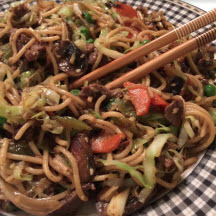 The key to successful stir-frying is to prepare all ingredients in advance—and lined up in the order of use—before you begin the cooking process. 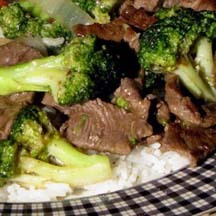 A quick and easy beef steak stir-fry with broccoli flowerets in a soy and beef-flavored sauce made lively by the addition of brown sugar, garlic and fresh ginger.